So a little about Nepal; it's a smallish country in Asia bordered by India and China. The population is mostly based in rural parts of the country, with the capital Kathmandu (pop. ~940,000) the largest city in a country of 27 million people. Mount Everest would be Nepal's claim to fame, but less well known is that Nepal has a further 7 of the worlds top 10 tallest mountains. I have a rule with these mass produced lagers, if it doesn't smell bad/nasty it's definitely a pass. Nepal Ice definitely falls in this category. The nose is not certainly not unpleasant, it's actually almost non-existent. What little aroma there is of grain of indistinguishable sweetness. I really can't even tell if it's sweet or sour grain, but if I had to guess I'd say it's sweet. There is also no detectable hop bitterness on the nose. 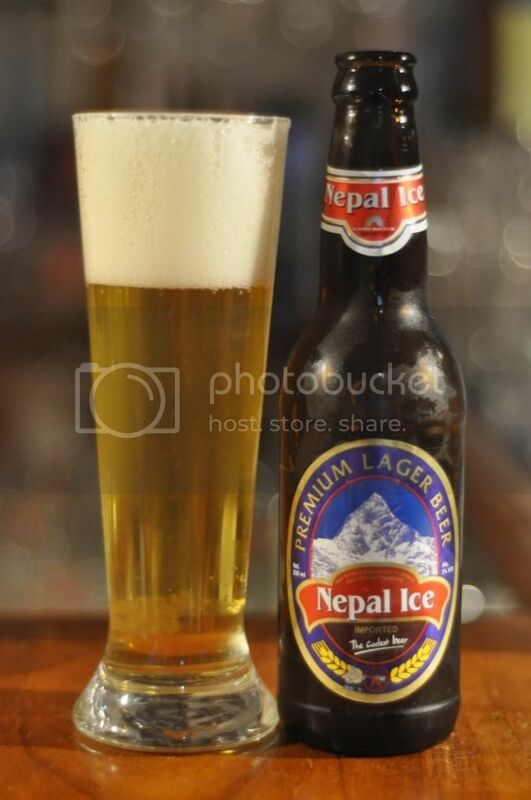 My initial thoughts were (I believe) proved right by the taste of Nepal Ice. It was indeed a lager which appeared to have no detectable hops. That being said the flavour from the grain was surprisingly complex, with more than just generic grain flavours on offer. Some of the grain was lightly spicy and there were some herbal elements, possibly signs of hopping? 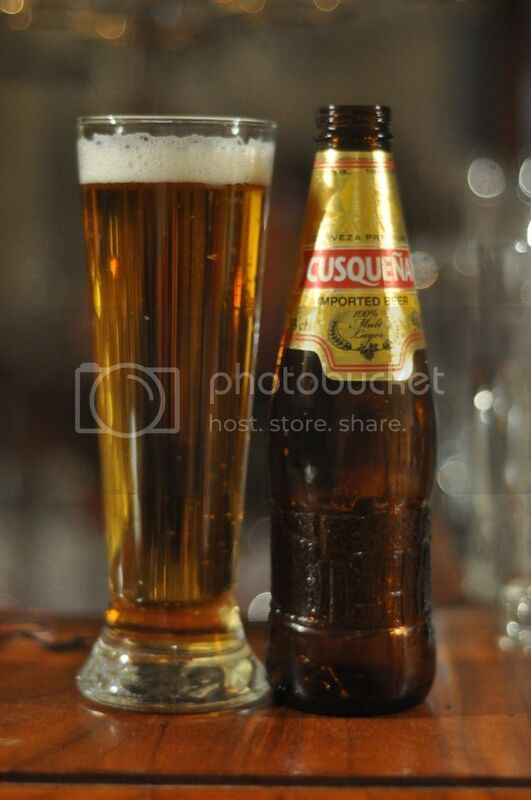 The overall feel of the beer is on the sweeter side, but it certainly isn't nastily sweet. As macro lagers go this isn't the worst. I wouldn't go out of my way to find it, but also wouldn't turn it down if offered it. It's claim to fame is clearly being from Nepal and I reckon that's why a number of people would buy it. In Nepal I can't imagine that there are that many options to choose from and this wouldn't be a bad option if you go in with lowish expectations. An interesting one to try for lager connoisseurs as the grain bill seems a little unusual and there appears to be no signs of skunking.